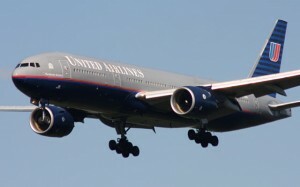 Paul Greenberg wrote a lengthy piece about his complex relationship with United Airlines and their potential for service downgrading as a result of the merger with Continental. But…I still fly United. I like to say that the reason I fly United is because I’m already so vested in the frequent flier program that I just don’t want to waste my investment. And, like many others, who immediately agree with me, that’s true. But, if I’m going to be honest with myself and, also, all of you, there is a reason for that too. I like the extra legroom of Economy Plus. Several years ago I threw in the towel on United and refused to fly them anymore. At first it was an adjustment but then I realized a couple of things that revealed a psychology behind my relationship with United, which is that they use status in frequent flyer programs as the promise of benefits but those benefits only have utility when compared to the service they otherwise offer, not that of competing service providers. I started flying Virgin America and it was like a fog lifting… all their seats have good leg room, the entertainment system is something United simply can’t match, first with wireless service, food is fairly priced and honestly quite good, and most importantly, the staff is friendly and enthusiastic. Big airlines are not in the business of expanding the service they offer, everything they do is a reaction to cost cutting and drive for adding service fees. The status programs only serve to create a psychological lock-in for frequent customers who then react like a frog in a pot of water as it slowly boils. No thanks, I’m done with United and their is nothing that would make me believe that they are capable of delivering a better service than competitors… they are like telcos in that “good” is only a measure of distance to the next worst option, in this case another major carrier. *IF* I could fly an airline like Virgin America and use my FF points to redeem on a larger selection of airlines than just to the USA, Australia, and London, I would. The idea of flying SEA-LAX-LHR-Asia boggles the mind. That’s why I stick with UA. The benefits once I’ve accrued those miles are fantastic, especially for flying in premium classes internationally! good point… my wife and I fly to Asia frequently and take advantage of American Express’ 2-for-1 business class tickets. We just did SFO-Vancouver-HK on Air Canada.